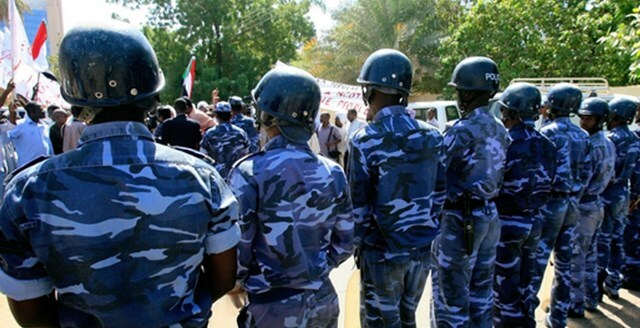 On Thursday, 22/3/2018, the authority in Khartoum in a verbal reply that the security and intelligence apparatus refuse the request to hold both the Khartoum events. Then the authorities in Qadharif and Al-Ubayyid responded by refusing the request to hold the events. On Saturday 07/04/2018 the Hizb held its festival in Freedom Square in the city of Qadharif amid a remarkable crowd and with the participation of some leaders of Islamic groups. In the city of Al-Ubayyid, the Hizb organized a public address in front of the Grand Mosque, and the Authority arrested the spokesman and some party members and guests and who are still in detention until the writing of this leaflet. First: Hizb ut Tahrir carries the call to Islam, in the method of the Messenger of Allah ﷺ; i.e. in the political way, it shows the ideas of Islam and its rules on the current realities of life, it accounts the rulers for their betrayals, and neglecting the interests of the Ummah and embracing the enemy. Every sincere Muslim competes to work for this great action and in its support and aid, and to encourage its workers. But the kafir enemy and the “armies” defending their interests from the rulers, the influential and the hypocrites, are all displeased with this great work, seeking to block it, but they will never be able to extinguish the sun light With falsehood! Second, the commemoration of the destruction of the Khilafah (Caliphate) is a mobilization of the energies of the Muslims to work to restore it. In such days of Rajab, 1342 AH, the criminal Mustafa Kamal was eager to weave treason and plots to overthrow the Khilafah. Similarly in these days Hizb ut Tahrir and the sincere sons of the Ummah are active to complete the structure of the rightly guided Khilafah that its time has come with the permission of Allah. Khilafah is the Shariah method to implement Islam, the unity of the Islamic Ummah, and to carry Islam to the world by Dawah and jihad. In the absence of the Khilafah, Islam became absent from the life of the Ummah, the Ummah was divided, and the rulers and the hypocrites and Ruwaybidha (ignorant) and half men have ruled over it, and subjected it to humiliation. But soon the dawn of the Khilafah will come, for the establishment of the Deen, the glory and empowerment by the permission of Allah. Thirdly, shame on this authority, which deceives the Ummah, with the discourse of Islam and its slogans, and then turn against it, they fight Islam and stop the faithful from calling for it to please the Kafir West. Their alleged freedoms encompass all evil and falsehood, but it strangles and fights Islam and its Dawah carriers. Fifthly: Hizb ut Tahrir continues to carry on the Islamic call in the method of the Messenger of Allah, even if the Kuffar and hypocrites detest it, until the promise of Allah comes; a near victory and relief from him. And those who have wronged shall know their fate.